Return train | 7.30 am from Shirdi (Saturday) and reach CST at 14.25 pm on same day. Break up of coaches | 1 AC 2 tier, 1 AC 3 tier, 6 3 tier sleeper, 3 general seating and 2 SLR ie seating plus Luggage Compartment. 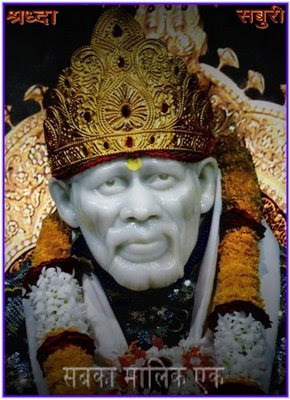 Mumbai: Central Railway (CR) will start a weekend train to Shirdi that will go by a shorter route, taking close to half the time the daily train takes to reach Sai Baba's shrine. The CST-Sainagar Shirdi train will leave at 10.20 pm on Friday and reach at 5 am on Saturday. The return train (Sainagar Shirdi-CST) will leave at 7.30 am on Saturday and reach Mumbai at 2.25 pm the same day. This train will be run on a trial basis and, depending on the response, CR will review the need to make it a permanent service. CR flagged off the first direct train to Shirdi after the Shirdi-Puntamba link was completed. But the route has 22 stops and takes close to 13 hours. It passes through Pune and is convenient for passengers there and the new route will be 112.5 kms shorter. "The recently started weekend specials from Mumbai to Madgaon have become a huge hit. So we thought why not a weekend train to Shirdi,'' CR chief public relations officer S C Mudgerikar said. There is good news for devotees who want to reach Shirdi to attend the kaakad aarti of Sai Baba which takes place from 5.15am to 5.45am. Starting March 20, the Central Railway (CR) will operate a train that will reach Shirdi in less than seven hours. After commissioning of the dedicated railway line planned from Puntamba to Shirdi, CR was run-ning Chhatrapati Shivaji Terminus-Sainagar Shirdi passenger train every day. “However, this new train will go via Nashik right up to Manmad without halting at Puntamba to reach Shirdi. It will have only six halts after CST at Dadar, Kalyan, Igatpuri, Nasik , Kopargaon and Shirdi,” said Sriniwas Mudgerikar, chief PRO of CR.